Discount available! 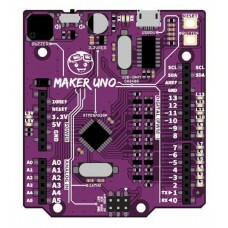 Recommend Maker UNO to your friends and get your Discount. 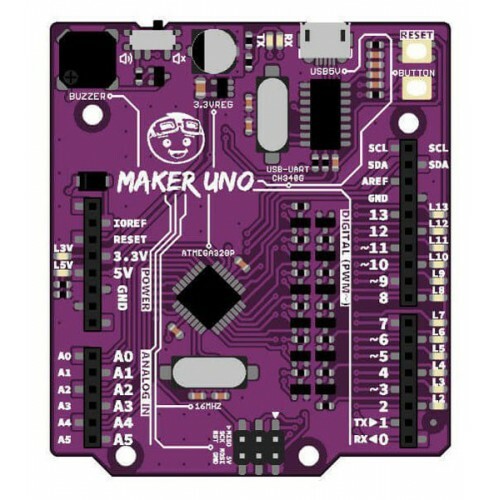 Maker UNO is a development board compatible with Arduino UNO R3, an alternative and improved solution. 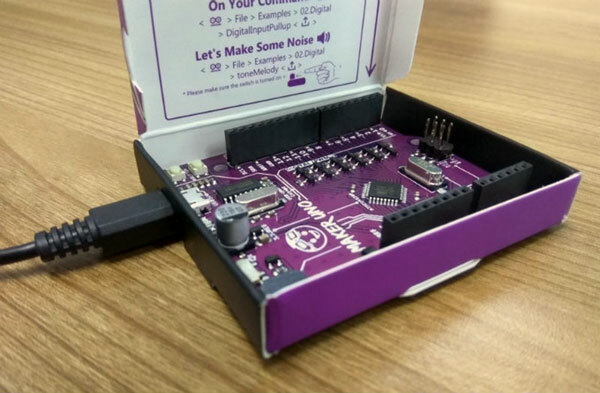 Based on the ATmega328P, it has 12 LED (pin 2 to pin 13), 1 piezo buzzer (pin 8), 1 switch on/off for piezo buzzer and 1 programmable button (pin 2). 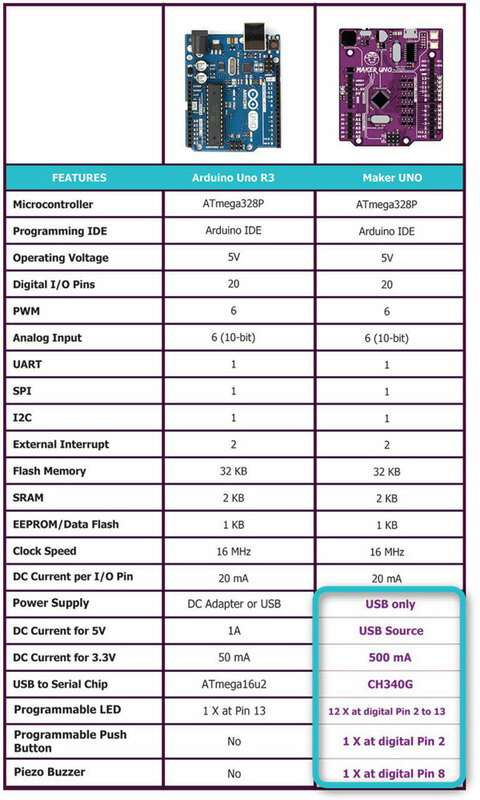 The current for devices operating at 3.3 V is as much as 500 mA compared to the 50 mA of Arduino Uno. 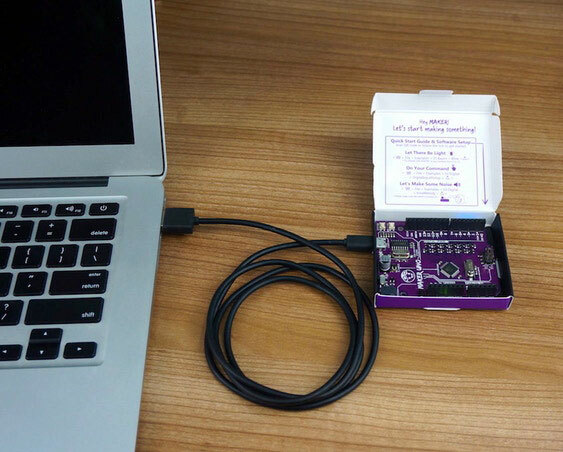 The ATmega16u2 USB-to-serial converter has been replaced with the cheaper CH340. 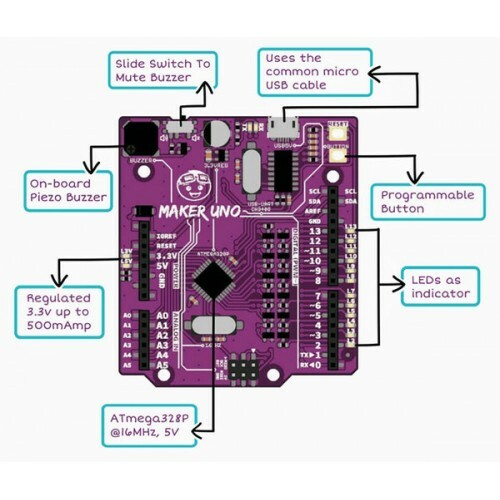 It is particularly suitable for makers, students and hobbyists that have little knowledge of basic electronics or that want to program immediately, avoiding wasting time connecting LEDs, buttons and buzzers. 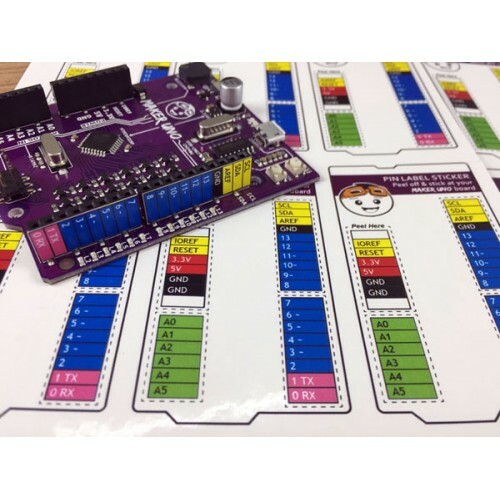 The package also includes stickers that allow you to immediately identify the pins. Students always get their boards mixed up. 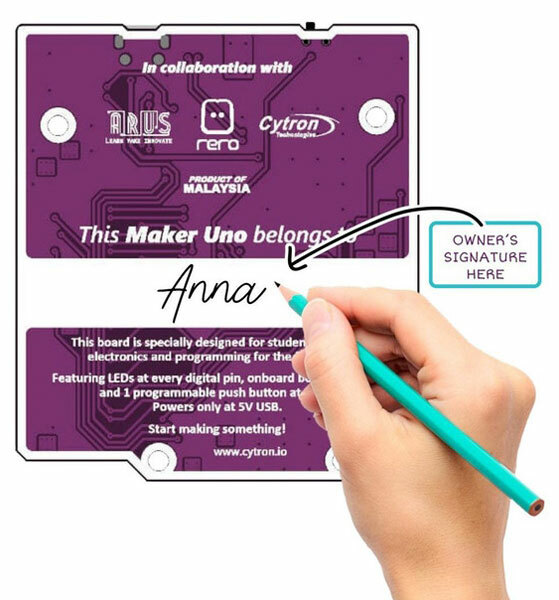 With Maker UNO, you can write your name on the board. Problem solved ! Don't throw your box away! 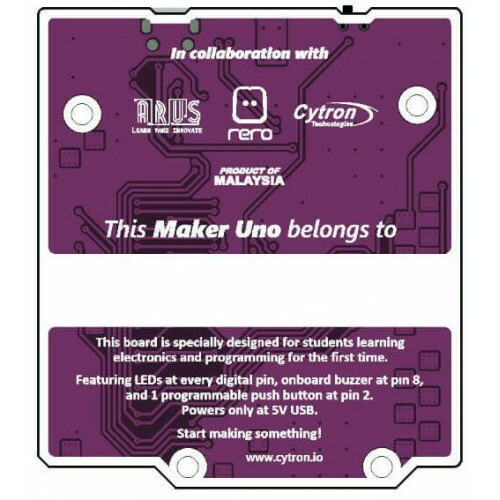 There is a small opening on the box for you to plug the USB cable so that you can keep your Maker UNO safely in the original box, no additional casing required. 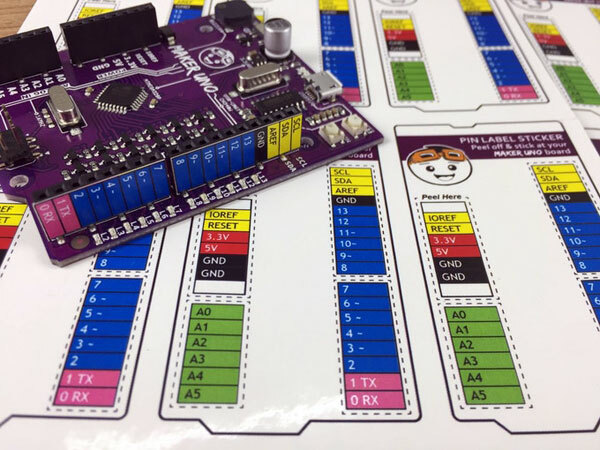 Shield to build a robotic lawn mower, powered with solar energy and able to operate just with the cl..
Arduino shield based on the L298P dual full-bridge driver capable of driving both D.. The RCWL-0516 is a small and compact microwave motion sensor based on the Dopp..